A team of BAE Systems, Lockheed Martin and MBDA engineers enhancing the capability of the UK’s fleet of F-35 Lightning II aircraft by commencing work on the integration of next generation weapons. BAE Systems has received an initial funding award from Lockheed Martin, the prime contractor on the F-35 Lightning II programme, to start integration efforts for MBDA’s Meteor beyond visual range air-to-air missile and SPEAR precision surface attack missile. Under this initial package of work BAE Systems and Lockheed Martin will also complete further integration work with MBDA on Advanced Short Range Air-to-Air Missile (ASRAAM) and with Raytheon on Paveway IV, initially integrated in support of delivering Initial Operating Capability (IOC) for the UK. Tom Fillingham, Senior Vice-President – U.S. Programmes of BAE Systems, said: «BAE Systems engineers played a crucial role in supporting the UK to achieve Initial Operating Capability for its F-35 fleet. Now, working alongside our partners including Lockheed Martin and MBDA, we are using our expertise to take that capability even further with advanced weapons systems such as Meteor and SPEAR. 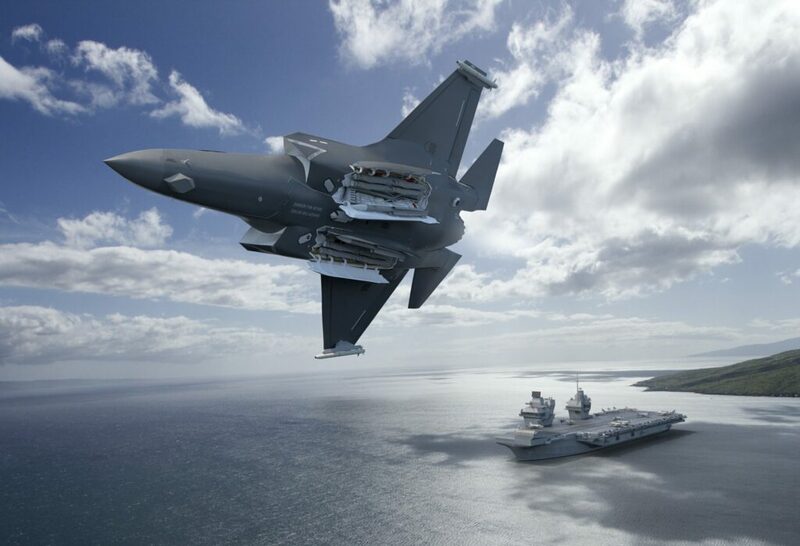 We are extremely proud of the critical contribution UK engineers are playing for both the UK and the global F-35 fleet through the development, production and sustainment of the aircraft». Cliff Waldwyn, Head of Combat Air, Group Business Development of MBDA, said: «This is a significant milestone for the UK Combat Air’s capability. This initial package of work officially commences the integration of Meteor and SPEAR and will enhance the operational capability of the UK’s Lightning Force in the future; it is also a positive step for the wider F-35 enterprise as it adds additional capability choice for international customers. MBDA’s integration team have worked well with our BAE Systems and Lockheed Martin colleagues and we plan to build on this excellent foundation into the future on this follow-on modernisation work». Last year, a pilot from 17 Squadron, the RAF’s F-35 Test and Evaluation Squadron at Edwards Air Force Base, California took to the skies for the first time with UK weapons, including ASRAAM and Paveway IV. This followed work carried out during the F-35 Lightning II programme’s System Development and Demonstration (SDD) initial testing phase to develop and certify weapons capabilities by an integrated test team. This team includes Lockheed Martin, BAE Systems, Raytheon and MBDA, working alongside the UK Air Warfare Centre to clear weapons for Operational Testing by Royal Air Force/Royal Navy (RAF/RN) pilots.